Home feedback news readers survey Lip Stains and Lace wants your feedback! 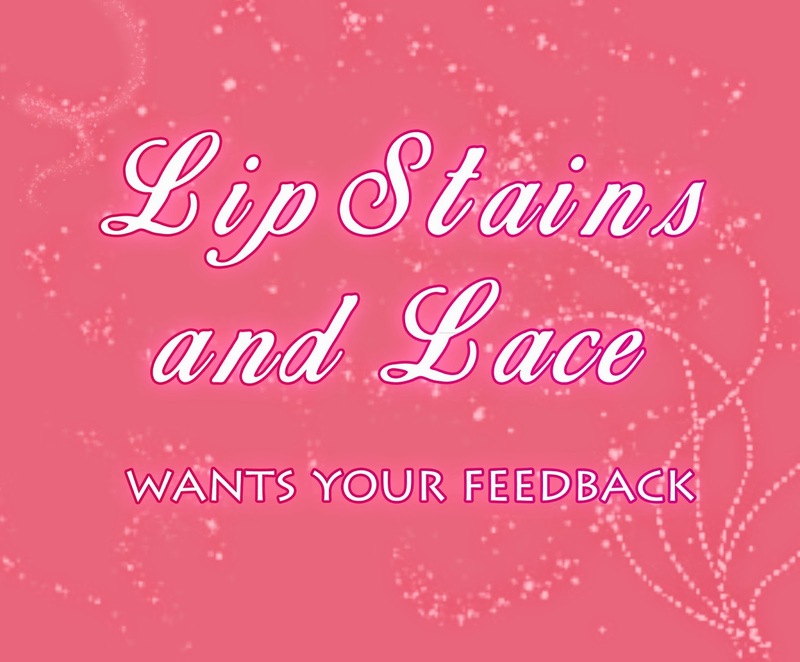 Lip Stains and Lace wants your feedback! This post is a bit of a change to my usual review/news type posts. In this post I want to hear from my readers about what you want to see posted on Lip Stains and Lace. Do you want to see more of certain posts and less of others? Would you like to see tutorials? I'd like to get your feedback and do more posts of what you like and would like to read. If you have a few moments I'd appreciate it if you could take my survey here. Any suggestions you have can be left in the comments below or you can email me directly using the contact form here or contact me via any of my social media accounts..